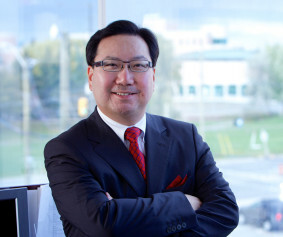 An immigrant from Hong Kong, Kenny graduated from York University in 1985 with his BBA degree. He then successfully achieved his Chartered Accountant (C.A.) designation in 1987 and completed his MBA in 1989. Known for his integrity and a strong work ethic, Kenny is a believer in giving back to the community in which he lives. That is the reason why he has devoted so much time and energy over the years to support different community organizations and charities as a volunteer, an advocate and a donor. Kenny believes it is both a privilege and a duty, as a Canadian, to make a positive impact in the lives of others. • Graduated from York University with BBA in 1985 and MBA in 1989. • Qualified as Chartered Accountant (CA) in 1987. • Successfully passed CICA’s Corporate Finance Qualification (CF) program in 2007. • Qualified as a Certified Information System Auditor (CISA) in 1991. • Graduated with High Honour from Seneca College’s Immigration Practitioner Diploma Program in 1998. • Completed an Audit Committee course at Harvard Business School in 2009. • Educated in Hong Kong Pui Ching Middle School Column 2b – Business Profile. • Managing Director of Kenny Wan Chartered Accountant Professional Corporation from 1996 to present. • CEO, Director and President of the board for Active Growth capital inc. (Public listed company) from 2008-2010. • Director and member of the audit committee for MillenMin Ventures Inc. (Public listed company) from 2010 to present. • Formerly computer system auditor for a major trust company and a public listed company. • Articled as a C.A. student in the largest Canadian public accounting firm.